LITTLE ROCK, Ark. - Mitchell, Williams, Selig, Gates and Woodyard, P.L.L.C. 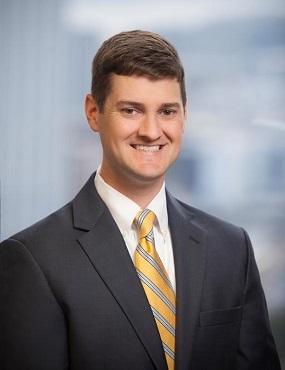 announces that attorney Trav Baxter has been elected by his peers as a Fellow to The American College of Trust and Estate Counsel (ACTEC) at their annual Fall meeting. Baxter was one of 38 new Fellows elected to the College and the only attorney chosen from Arkansas. Baxter provides counsel to individuals and business entities in the areas of estate planning, tax advice, administration of trusts and estates, formation and operation of business entities, succession planning and premarital agreements. With a family background in agriculture, Baxter assists clients in various agriculture matters including property management, formation and operation of agriculture business entities, tax advice, trusts, and multi-generational estate planning. He is recognized by The Best Lawyers in America© in trusts and estates and Chambers USA in corporate/commercial tax in Arkansas. To qualify as an ACTEC Fellow, a lawyer must have no fewer than 10 years of experience in the active practice of trust and estate law. Lawyers and law professors are elected to be Fellows based on their outstanding reputation, exceptional skill and substantial contributions to the field by lecturing, writing, teaching and participating in bar leadership or legislative activities. They must also aim to improve and reform probate, trust and tax laws, procedures and professional responsibility. Established in 1949, The American College of Trust and Estate Counsel (ACTEC) is a nonprofit association of 2,500 trust and estate lawyers peer-elected to membership based on substantial contributions to the field of trusts and estates law.